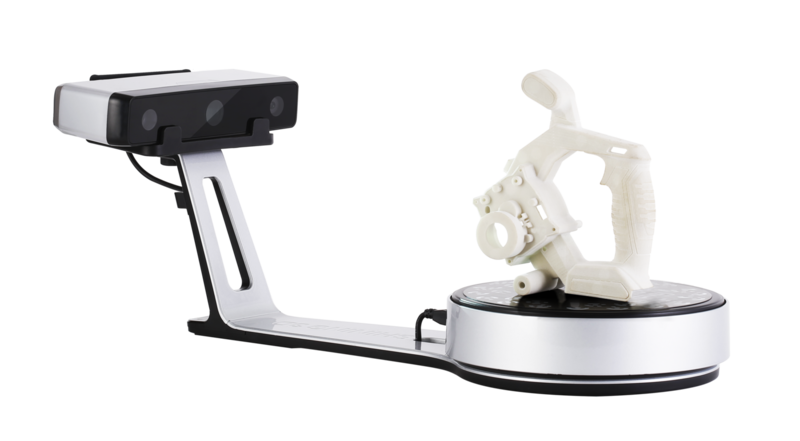 This Einscan-SE Turntable 3D scanner does high definition scans of small 3D objects. Multiple passes allow detail capture. The resulting file can be emailed and printed using the 3D printing service.